This is my sixth collection of short stories. Virtually all the stories in those earlier collections are true, describing incidents from my life, memories that have stayed with me . This latest collection is no different. It contains tales, some from more than fifty years ago, about living with my Irish Rebel mother, about the marriages and jobs and holidays I've had - and even about my first cat. If I've not written them in the first person, I've disguised myself as Dan or Brian. But this latest collection is particularly poignant for two reasons. Almost a year ago, I lost my soulmate and muse of twenty-five years to cancer. Not long after Alison's passing, I penned a story about her last day, which I'm proud to have included in the collection. This year also marks the centenary of Ireland's Easter Rising of 1916, an event that has always been close to my heart, that was even closer to my mother's heart, and that fired her father, Patrick, to become a hero for his country. To commemorate the Rising, I wrote a homage to Patrick, which I'm also proud to have included in the collection. 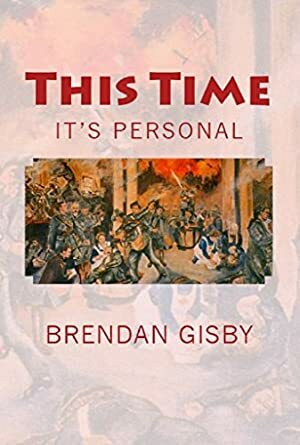 So it almost goes without saying that, like the previous collections, this one is very personal to me - and perhaps even more personal than the others. We started tracking this book on June 8, 2016. The price of this book has changed 30 times in the past 1,045 days.